Our speakers span business leaders, subject matter experts, and politicians and civil servants with operational experience interacting with and within the institutions of the EU. 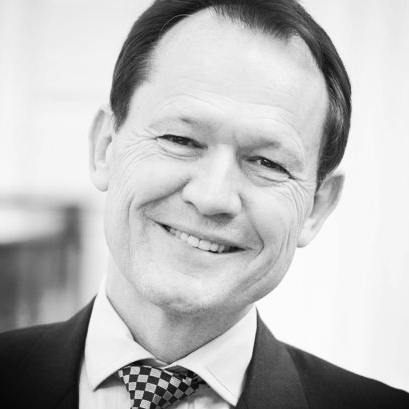 Luke is Chairman of Risk Capital Partners, of the Centre for Entrepreneurs, and of The Institute of Cancer Research. He is an owner and Chairman of Patisserie Valerie, Gails and Neilson Active Holidays; and formerly Chairman of Channel 4 Television Corporation, PizzaExpress and the Royal Society of Arts. He writes regular columns for the Financial Times and Management Today. He is the former owner of The Ivy, Le Caprice and J Sheekey restaurants, and a former part-owner of Giraffe Restaurants. He is the author of 'Start It Up: Why Running Your Own Business is Easier Than You Think’. He studied medicine at Oxford University and subsequently joined investment bank Kleinwort Benson as an analyst. In 1992 he organised the acquisition of PizzaExpress and floated the business on the stock market at 40p. He was Chairman of this business until 1999, at which time the share price was over 800p and the business had a market capitalisation of over £500 million. Lord Hannay is the former UK Ambassador to the EEC (1985-1990) and Former UK Ambassador to the UN. Starting in 1965 and continuing into the early 1970s, he was an official representative of the government in discussions that led to the UK's 1973 entry into what became the European Union. Lord Hannay was Chair of the Board of United Nations Association UK from January 2006 to January 2011 and is now chair of the UN All-Party Parliamentary Group. He is currently a member of the Top Level Group for Nuclear Disarmament and Non-proliferation and the Lords EU Select Committee, chairing the Sub-Committee on Home Affairs, Health and Education. He was Special Representative for Cyprus between 1996 and 2003 and a member of the UN High Level Panel on Threats, Challenges and Change, reporting to the Secretary-General in December 2004. He entered the Foreign and Commonwealth Office in 1959, and was initially posted to positions in Tehran and Kabul. He was educated at Winchester College and New College, Oxford. Dame Helen is the Executive Chairman of UBM, Chairman of the Port of London Authority, Non-Executive Director at Rolls-Royce Group plc, Senior Adviser to Bain Capital, Chancellor of the University of Southampton and Honorary Fellow of Hertford College, Oxford. She was Chief Executive of The Economist Group from 1997 to 2008, having become Managing Director of The Economist Intelligence Unit in 1993. Dame Helen was a Non-Executive Director at Northern Foods plc from 1994 to 2002, at BT plc from 1998 to 2002 and at Centrica plc from 2003 to 2011 and was President of the CBI from 2009- 2011. She is involved in other not-for-profit organizations in education, media, the internet and the arts and has an MBA from INSEAD. Lord Liddle is Chairman of Policy Network. He is a frontbench spokesperson on Europe and Foreign Affairs in the House of Lords. He was special adviser on European Affairs to Tony Blair and chaired the Government’s New Industry, New Jobs Advisory Panel at BIS. Prior to this he served in the European Commission, first in the Cabinet of Peter Mandelson (the EU Trade Commissioner), then as economic adviser to the European Commission President Jose Manuel Barroso. He is a Director of the University of Cumbria. Roland is the founding Chairman of Business for New Europe, a former board member of Britain in Europe and an advisory board member of the Centre for European Reform. He is the Chairman of RLM Finsbury. In addition, he is a patron and Chairman of NSPCC's Stop Organised Abuse; Non Executive Director on the Army Board and Chairman of Tate's Corporate Advisory Group. He is a member of the Royal Opera House Foundation Advisory Circle and The Prince's Rainforests Project Steering Group. Before founding Finsbury in 1994, he worked as a financial journalist, primarily at the Financial Times. Before that he was a policy coordinator for Lord Owen. He was President of the Union at Oxford University and is now a visiting Fellow at the University’s Centre of Corporate Reputation. He is the founding Chairman of the Legacy10 charitable giving campaign and is a governor of Wellington College. John is the Chairman and Founder of consumer products company JML, which in 2010 was named one of Europe’s Top 150 companies for growth and dynamism. He co-chairs campaign group Business for Britain, and is the largest individual donor to the Labour Party. He has been a Committee member of the Economic Research Council since 1997, Secretary of the Labour Euro-Safeguards Campaign since 1975 and Secretary of the Labour Economic Policy Group since 1985. He has previously been a Labour councillor on Camden Borough Council and Deputy Chairman of the London Docklands Development Corporation. He is Chairman of The People’s Pledge campaign for a referendum on Britain’s EU membership. He ran as a Parliamentary candidate twice in 1974 and for the European Parliament in 1979. Sir Stephen worked closely with five British Foreign Secretaries and was Foreign Policy Adviser to Prime Minister John Major. He was British Ambassador to Portugal from 1993 to 1995, Permanent Representative to the European Union from 1995 to 2000 and Head of the European Secretariat in the Cabinet Office and EU adviser to the Prime Minister from 2000 to 2004. He is currently the Chair of Council for University College London, Chair of the Federal Trust, Chair of Trustees at Cumberland Lodge, Member of the Board of Trustees of the Thomson Foundation, Trustee of the Franco-British Council and Honorary Fellow of Selwyn College Cambridge. His book on Britain’s relationship with her EU partners, A Stranger in Europe, was published in April 2008. He is now writing the final volume of the Official History of Britain's relations with the European Union, covering the period 1975-1991. Helena has been CEO of Newton Investment Management since 2001, a firm with £51.7bn of assets under management. Whilst running Newton's bond funds she was twice-winner of Investment Week's Global Bond Fund Manager of the year. She was voted one of the 50 Most Influential People in Finance by Bloomberg Magazine in October 2013. In 2010 she was named the Financial News 'Most Influential Woman in European Asset Management'. She was the first female director of the UK's Investment Management Association, from 2005 until 2012. As its longest serving member from 2007 to 2013, she represented the investment industry on the FCA's Practitioner Panel, a statutory body providing input to the regulators from practitioners' perspectives. In 2010, Helena founded the 30% Club, an initiative aimed at increasing from 12.5% to 30% women on UK corporate boards by 2015 through voluntary, business-led change. Helena is a member of the University of Cambridge Endowment Investment Board, and Chairman of the Eve Appeal (a charity funding research into gynaecological cancers), the Royal Academy's Corporate Board, and Opportunity Now, Business in the Community's gender diversity campaign. She is married with nine children. Sharon has chaired the European Parliament’s Economic and Monetary Affairs Committee (ECON) since 2009, putting her at the heart of the EU’s response to the financial and Eurozone crisis. She is the first Liberal and first Briton to have done so, and will serve in this role until the end of the current Parliament in June 2014. Sharon has been described as the most influential Briton in the development of European Union policy and one of the top ten most influential regulators in the European Union. She was short-listed to be Governor of the Bank of England in 2012, and that year was number 48 on The Times' 100 people to watch list. Sharon became an MEP in May 2005 and was re-elected for a second term in June 2009. She is a Chartered Patent Attorney; Registered Trade Mark Agent; European Patent Attorney and Professional Representative before the Office for Harmonisation of the Single Market (European Trade Mark and Designs Office), and has as drafted and prosecuted patents for leading edge companies over a wide range of technical fields. Sharon has competed at national/international level in rowing and archery. Vernon is one of Britain's foremost constitutional experts and has written extensively on political and constitutional issues, as well as having been an adviser to many governments, including those of Albania, the Czech Republic, Hungary, Kosovo, Israel, Mauritius, Slovakia, Trinidad & Tobago, and the UK. He is Research Professor at the Institute for Contemporary British History at King’s College London, Professor of Politics at the New College of the Humanities, and Visiting Gresham Professor of Political History, and Emeritus Gresham Professor of Law. He was for many years Professor of Government at Oxford University, and Senior Tutor and Vice-Principal at Brasenose College, Oxford. He was awarded the CBE for contributions to constitutional history, made a Chevalier de la Legion d'Honneur by President Sarkozy, was awarded the Sir Isaiah Berlin Award by the Political Studies Association for Lifetime Contribution to Political Studies. He is a Fellow of Brasenose College, Honorary Fellow of the Institute of Advanced Legal Studies, Honorary Fellow of The Queen's College, Oxford, and a Fellow of the Academy of the Social Sciences, as well as an Honorary Bencher of the Middle Temple. He is a frequent contributor to TV, radio and the press, appearing on the BBC’s coverage of the 2010 election night. Simon is the Director General of the Institute of Directors, a Council Member of the European Policy Forum, and a member of the Parliamentary Speaker’s Advisory Committee on Public Engagement. 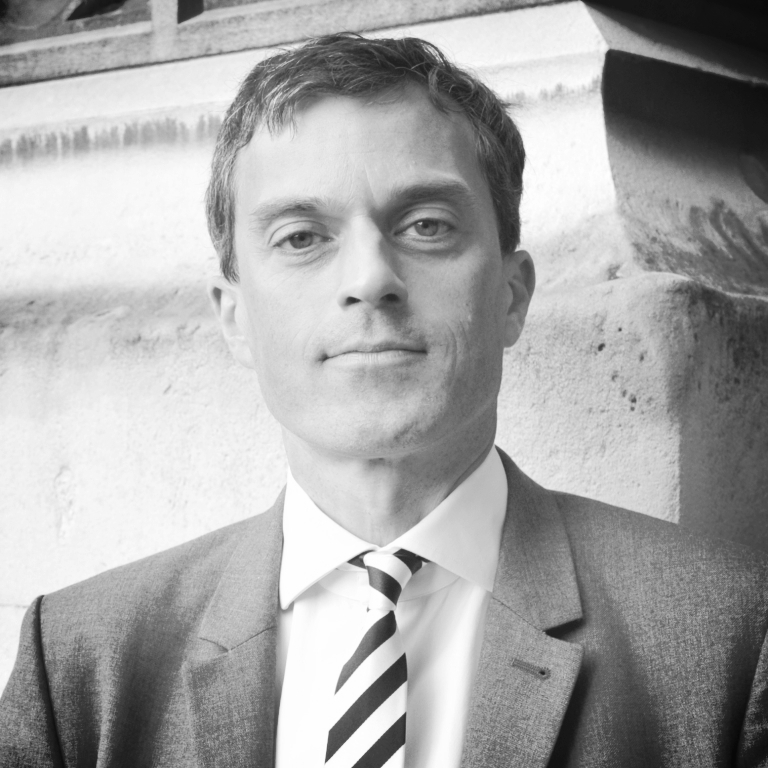 His previous roles include 4 years as CEO of the BVCA, being Director of Corporate Communications and Marketing at Reuters, serving as Communications Secretary to HM The Queen at Buckingham Palace, being a Partner at Brunswick, and Director of European Public Affairs for Hill & Knowlton in Brussels. In his earlier career he served as Director of Corporate Affairs at British Airways, as a Non Executive Director of Comair Ltd (South Africa), and as a Special Adviser in the Prime Minister's Policy Unit at 10 Downing Street from 1996-1997. He has been a member of the Better Regulation Commission, a Trustee of The Queen’s Golden Jubilee Trust, the New Zealand-UK Link Association, and the UK-US Jamestown Committee. Simon is a Governor for the environmental foundation, The Hillary Summit. Colin is Chief Executive of the London Chamber of Commerce and Industry (LCCI). Prior to joining LCCI, he was Managing Director of Carlton Broadcasting, the London weekday ITV company. Before joining Carlton Colin was at the BBC for nearly 20 years, and worked in local radio, network news, current affairs and regional television. He has been a producer or editor on Newsnight, Midweek, Tonight, Nationwide, Breakfast Time, and This Week Next Week. His last job at the BBC was as Head of Centre, South East, where he headed up all regional television and the output of five local radio stations. Colin is a Fellow of the Royal Television Society. Julian is the Conservative MP for Skipton and Ripon, having been elected in the 2010 General Election. He is Parliamentary Private Secretary to the Secretary of State for International Development Rt Hon Justine Greening MP, Co-Chair of the All Party Parliamentary Group for Micro-businesses, a member of the cross-party group supporting the Transantlantic Trade and Investment Partnership, and Co-Chair of the Fresh Start group of Conservative MPs making the case for EU reform. He is an entrepreneur, and founded executive recruitment firm Arq International from the front room of his flat in 1999. Between 2011 and 2012 Sir David served as the 684th Lord Mayor of London. He is a partner at Allen & Overy, President of the Society of Young Freemen and Hon. Vice President of the City Livery Club, as well as a member of the Management Committee and Chairman of the Audit Committee of the King’s Fund. He is also Governor of several institutions including Guildhall School of Music & Drama and City of London Academy. Sir David has served as Chancellor of City University London (2011-12), and as an elected member of the Council of the National Trust. In 2009 he was elected as Sheriff of the City of London. Alisdair is Director of Business for New Europe. He is an expert in public policy and government, with experience in Westminster, Brussels and Edinburgh. From 2009-2012, he was Director of the UK Government's Scotland Office. Alisdair has also worked for HM Treasury, the UK Representation to the European Union and the European Commission. He has also held a range of senior roles in the Scottish Government. Alisdair was educated at Durham and London universities and at business school at INSEAD. Anthony is an author, broadcaster, journalist and lecturer. He was City Editor of The Times (1981 to 1983), City Editor of The Evening Standard (1984 to 1989) and in 1989 became Managing Director of The Evening Standard. He held that post for six years before returning to the City Office as Editor in 1996. Anthony has also worked for The Observer, The Daily Mail and The Sunday Express, was Editor of Accountancy Age for five years and served as the Business Correspondent for The Sunday Times in New York for three years. He has been seen regularly on television, filling the commentator’s slot on Channel 4′s TV Business Programme for three years. He is the author of How to Communicate Financial Information to Employees and City Within a State - a study of how the city of London really works - and has received numerous industry awards for business journalism, including the Decade of Excellence and the Wincott Prize for Business Journalism in 2003. He regularly contributes to The Evening Standard and The Independent on topics such as marketing, investor relations, pensions and economics. Hugo is Editor-at-Large, Reuters News and the founder of Reuters Breakingviews. He is also the author of The IN/OUT Question: Why Britain should stay in the EU and fight to make it better, available here. Before founding Breakingviews in 1999, which he edited until 2012, Hugo spent 13 years at the Financial Times, the last five as Head of Lex. He began his journalistic career at the Economist. Hugo is also a budding philosopher. Follow him on twitter @hugodixon. Tim is a board member of the International Capital Markets Association (ICMA) and a specialist in Financial Institution capital markets work. He also chairs the ICMA’s Committee of Regional Representatives. He works currently as a Managing Director in the Financial Institution group at RBS in London, which he joined in 2011. With over 30 years of experience in the finance industry, Tim has travelled extensively, specialising in bank finance in Europe and the US. Tim is a frequent speaker, chairman and panel moderator at industry events and contributor to the media, often appearing on CNBC as well as in the pages of the specialist financial press. 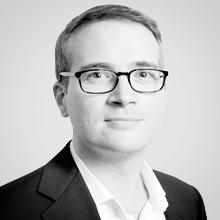 Fluent in French and German, Tim is actively engaged in European regulatory affairs. Daniel is Chairman of Berry, Palmer and Lyle Holdings, BPLGlobal Holdings and the Lokahi Foundation. He holds Non-Executive Director positions at NASDAQ OMX NLX, and SVM Global plc. His previous roles include being CEO of LIFFE, Deputy CEO of Nationwide, Non-Executive Director of The Post Office, Chairman and CEO of Davidson Pearce Group, Finance Director of Unigate, Chairman of the University of Winchester, Master of the Mercers' Company, Gresham Professor of Commerce and the Chairman of the Design and Artists Copyright Society. Other Non-Executive roles have included positions at Rolfe and Nolan plc, Independent Insurance Group, and the London Clearing House plc. He is the Honorary Treasurer of Business for Britain. Catherine is the author of the Single Market Report for the Government’s Review of the Balance of Competences, the ‘cost-benefit’ exercise on the UK’s relationship with the EU. She is Professor of European Union Law and Jean Monnet Chair of EU Law at Cambridge University. She is also a Fellow of Trinity College. She specializes in European Union Law, labor and discrimination law, and competition law. Catherine is the author or editor of numerous books including: The Substantive Law of the European Union: The Four Freedoms, 4th edn, EU Employment Law, 4th edn, The Outer Limits of European Union Law (Ed), The Law of the Single European Market: Unpacking the Premises (Ed), and The Fundamentals of EU Law Revisited: Assessing the Impact of the Constitutional Debate (Ed). Mats has been Director of Open Europe since 2010. He is also an Advisory Board member of Open Europe Berlin gGmbH. A frequent contributor to broadcast and print media, Mats has written extensively on EU policy, including the eurozone crisis, financial regulation, employment law and the EU budget. Before Open Europe, he worked for a political consulting firm in Washington DC. Mats has been named one of 99 influential international leaders under 33 by the Diplomatic Courier and Young Professionals in Foreign Policy. Winning an athletic scholarship for basketball and several university awards, Mats graduated from Liberty University in Virginia, US with a perfect 4.0. Grade Point Average and went on to a master's degree at the London School of Economics. He is a native of Bankeryd, Sweden. 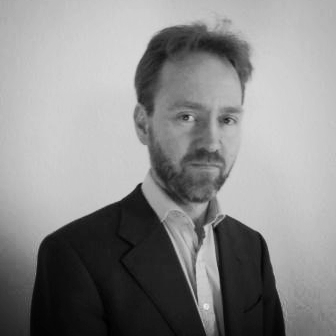 Charles is the Director of the Centre for European Reform, which he helped to found in 1996, joining full-time from The Economist where he covered defence, the European Community and the City. He was a director and trustee of the British Council from 2002 to 2008. Charles is a member of the international advisory boards of the Moscow School of Political Studies, the Turkish think-tank EDAM and the French think-tank Terra Nova. He is chairman of the Ditchley Foundation's programme committee, and in 2004 became a Chevalier of France’s Ordre Nationale du Mérite. He is the author of numerous CER publications, including How to build a modern European Union, Is Europe doomed to fail as a power? and Russia, China and global governance, as well as a biography of Commission President Jacques Delors (Delors: Inside the House that Jaques Built). Charles is a regular contributor to the Financial Times, the International Herald Tribune and many other publications. Peter is Founder and Director of British Influence. In 20 years of working in European affairs he has practised and lectured as a solicitor in EU law, been Head of Media for the Conservative Party in the European Parliament, Director of CabinetDN, a Brussels public affairs consultancy, and European Director of BSkyB. He has made regular appearances in the media, including the BBC's Europe Direct, and is the author of Influencing the European Union. Ruth is a political economist working as Non-Executive Director and Economic Adviser to Arbuthnot Banking Group plc. Her previous roles include having been Head of the Policy Unit at the Institute of Directors, Economics Editor at ITN and Chief Economist of Mitsubishi Bank. She has been director of the Centre for Policy Studies, Governor of the London School of Economics, and Director of Global Vision. She has also served on the Councils of London University and the Royal Economic Society, the National Consumer Council, the Office for National Statistics Advisory Committee, the Economic and Social Research Council Research Priorities Board, the Retail Prices Advisory Committee and the Institute of Economic Affairs Shadow Monetary Policy Committee. Her earlier career featured 16 years in the Civil Service spanning the Treasury, the Department of Trade and Industry, the Central Statistical Office and the Civil Service College. John is The Economist’s Europe Editor, and was previously Business Affairs Editor (from 1998), responsible for the business, finance and economics and science & technology coverage of the paper. Prior to this he had been Brussels Correspondent, Executive Editor, Surveys Editor, Finance Correspondent, Washington, DC, Correspondent and Britain Correspondent. Before joining The Economist he was a civil servant, working for HM Treasury and the Foreign Office from 1976 to 1986. Simon is Professor of European and Comparative Politics and Head of Department of Government at the London School of Economics. He is a Fellow of the British Academy, Chairman of VoteWatch.eu, and Associate Editor, European Union Politics. He is the author of numerous books on the topic of Europe, latterly The Political System of the European Union, 3rd edn (with Bjørn Høyland, 2011) and What’s Wrong with the European Union and How to Fix It (2008). In 2008 he won the prestigious Fenno Prize from the American Political Science Association for his book Democratic Politics in the European Parliament (with Abdul Noury and Gerard Roland, 2007); in 2005 he won the Longley Prize of the American Political Science Association for the best article on representation and electoral systems; and in 2004 he won a Fulbright Distinguished Scholar Award. Megan is Chief Economist at Maverick Intelligence, with a particular focus on Europe. She is also a senior fellow at the Atlantic Council, a columnist with Bloomberg and a senior research fellow at Trinity College Dublin. Previously, she was the director of European economics at Roubini Global Economics and the euro crisis expert at the Economist Intelligence Unit. Prior to working as an economist, Megan was a political risk consultant at Oxford Analytica, an investment banking analyst at JP Morgan Chase and an advisor to the Liechtenstein royal family on eradicating money laundering in the principality’s financial services industry. Megan did her graduate work at Nuffield College, Oxford University and received a BA in Political Economy from Princeton University. Marc is Managing Editor of City A.M. where he also writes a weekly column on Fridays, The Long View, setting topical issues in a deeper context and covering everything from 3D printers to the artistic patronage of the Medicis. He wrote ‘The Arts Council: Managed to Death’ for the New Culture Forum in 2009 and is the co-author with Anthony O’Hear of The School of Freedom, a history of liberal education told through original documents from Plato to the present day. Petros is the Chairman of European Movement UK, and a regular commentator in the media on European issues. He serves as the Head of Policy and Public Affairs, Europe for the ACCA, and previously worked as EU Affairs Advisor for the Financial Services Authority. Prior to this he was EU Affairs Advisor to the EU Select Committee of the House of Lords. He is a graduate of the London School of Economics. Tim is an economist and businessman, and currently Economics Spokesman for UKIP and their PPC for the Forest of Dean constituency. He was a member of the Treasury Panel of Independent Forecasters (the so-called “wise men”) between 1992 and 1997, which advised the Chancellor of the Exchequer on economic policy. He founded Lombard Street Research, one of the City of London’s leading economic research consultancies, in 1989, and was its Managing Director from 1989 to 2001 and its Chief Economist from 2001 to 2005. He has been a visting research fellow at the London School of Economics, and a visiting professor at Cass Business School and Cardiff Business School. David is the Berlin Correspondent for The Times, and the author of Europe: In or Out? Everything you need to know, as well as Au Revoir, Europe: What if Britain left the EU?. John is Director of Strategy and Policy at London First, where he is responsible for all of the business membership organisation’s policy work. He was previously the Head of Corporate Affairs at the BBC (2003-2008); Regulatory Affairs Director of the European Competitive Telecommunications Association (2000-2003); and has over ten years’ experience in public policy consultancy, initially with Prima (1989–1998) and then GPC (1998-2000), providing political and policy advice to major international businesses. John has degrees from Oxford University and the London Business School. He is a former Deputy Leader of Camden Council in London. Peter is Chairman of EMEA Research at CBRE, one of the world’s largest real estate advisory and investment firms with over $90bn of assets under management. He is the firm’s principal analyst and spokesperson with respect to real estate market trends and issues for Europe, the Middle East and Africa, and is a well-known commentator on the property market and has authored numerous research publications at CBRE. Peter originally joined CBRE in 1988 as head of UK research, having previously worked in management consultancy and as a university lecturer. He has also been a visiting professor at Birkbeck College, part of the University of London. Charlie is Origination Partner at pan-European private equity firm ECI Partners. ECI currently manages over £1.1bn of committed capital and is in the process of investing their ninth fund, worth £437m. Charlie is responsible for deal origination and advisory relationships, having joined in 2004. He previously worked at Ernst & Young in London for eight years, spending time in both corporate finance and corporate recovery. Prior to this he spent a year with VSO. Charlie has an MA in economics from the University of Edinburgh and holds an ACA. If you are interested in speaking opportunities, please get in touch via the contact page.